After an excellent tournament to begin the year in Brisbane, the tour moves to Sydney where another great tournament looks to be on the cards. The second week of the WTA Tour season sees the scene shift to Sydney for the Sydney International. Eight of the world's top ten players will be in action while three more major winners will grace the courts. Top seed Simona Halep makes her 2019 debut admist a number of questions: coachless, a racquet change and hernia procedure was going to test the world number one. To compounds things, the draw did her no favors with 2017 Roland Garros champion Jelena Ostapenko or last year's finalist Ashleigh Barty awaiting. Anett Kontaveit and Monica Puig, one of three lucky losers in the draw, will square off with Elise Mertens forgoing a chance at a third consecutive Hobart title to make her Sydney debut against Katerina Siniakova. Fourth seed Sloane Stephens will look to break her duck on the new season after a first round loss in Brisbane. She faces qualifier Ekaterina Alexandrova while two undersized, feisty competitors in Yulia Putintseva and Daria Gavrilova will meet. Garbine Muguruza picked up an injury at the Hopman Cup and faces questions of her own as she plays in her first official event of the season against countrywoman Carla Suarez Navarro. Johanna Konta handed Stephens her aforementioned opening round loss in Brisbane, but was fortunate to make the main draw here after losing in the final round of qualifying. Kiki Bertens is her first round foe, making for a fascinating clash. Daria Kasatkina suffered the biggest upset in the opening week of the season, falling to world number 283 Kimberly Birrell. She faces the toughest qualifier in Aliaksandra Sasnovich to open here. Lucky loser Tatjana Maria will square off with qualifier Priscilla Hon. An intriguing battle between Dominika Cibulkova and Samantha Stosur is sure to entertain while Anastasija Sevastova will look to build on her quarterfinal showing in Brisbane when she plays Timea Bacsinszky. This quarter appears to be the most wide-open of the four with any number of possibilities in play. Sevastova looks to be the favorite based on Kasatkina's recent poor form. Defending champion Angelique Kerber is the solid favorite to retain her title and looked sharp in her opening event last week at the Hopman Cup. She gets a bye before facing either Ajla Tomljanovic or the dangerous Camila Giorgi. Shenzhen champion Aryna Sabalenka faces fifth seed Petra Kvitova, a late wild card entrant in a blockbuster first round match. Auckland semifinalist Su-wei Hsieh plays qualifier Danielle Collins to round out the section. A potential matchup between Sabalenka and Kerber, two of the in-form players heading into the Australian Open, could be a preview of a possible semifinal or final in Melbourne. Who will take home the Sydney trophy? The initial draw looked to be one of the best in tournament history, but the withdrawls of Karolina Pliskova, Lesia Tsurenko and Naomi Osaka have weakened it just a bit. There are still many interesting subplots to follow: how will Halep adjust to all of the changes since last year? Will Sabalenka continue her hot start? 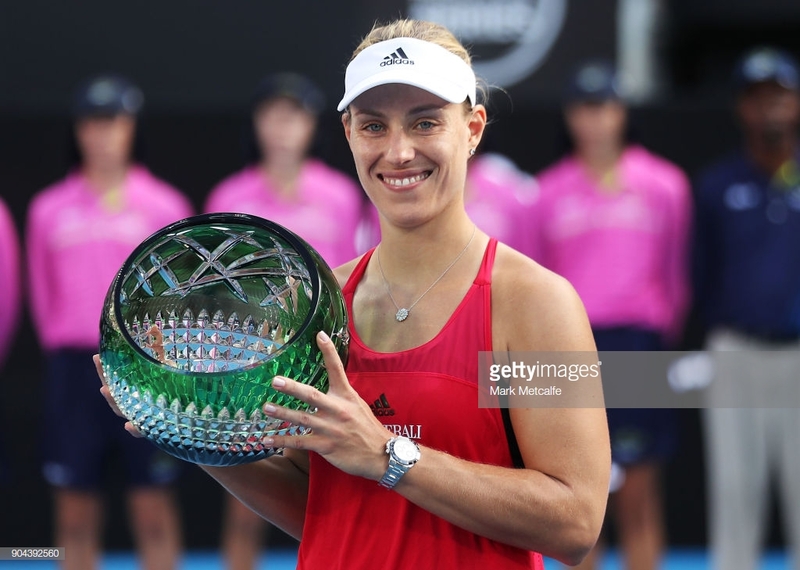 Can Kerber go back-to-back? Although they haven't played well as of late, Stephens, Kasatkina and Ostapenko are plenty capable of going far and perhaps taking the title. Sasnovich and Konta (if healthy) are also worth a look. Brisbane was a fine start to the 2019 season and despite the aforementioned withdrawals, Sydney promises to be a terrific lead-up to the Australian Open.